If you’ve ever visited the Arnold Classic Expo, then you know all too well the haul of samples you are able to leave Columbus with. Many people come with backpacks to fill, leave the expo once it’s full, dump out their stash, and then go back in for more. By the time the expo closes on Sunday afternoon, you could leave with hundreds, if not thousands of free samples. While this might be great for the consumer, it might be incredibly dumb for the manufacturer (and when I say might be, I really mean definitely is). Let’s take a peek at the other side of the story and have a little discussion. It’s easy to think that all of these vendors gather in one space to give out free samples and promote their newest launches to the public while having their athletes posing for pictures and signing autographs because it makes sense to do so. It’s not. In fact, it doesn’t make sense at all. 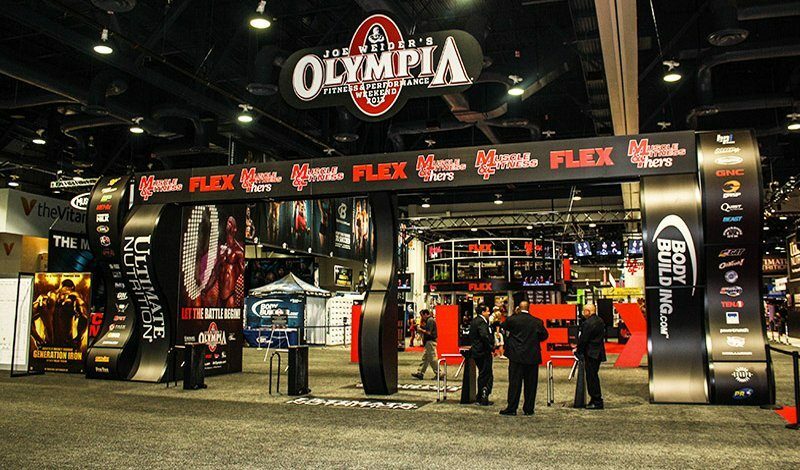 It might sound easy to show up to an expo with a booth and hand samples out, however, the amount of coin given up to simply have a small 10×10 booth at an expo like the Arnold or Olympia is astronomical. That’s not even looking at the brands who double, triple, or quadruple that size. There’s a reason you only see the large brands at these expos—because the smaller brands can’t afford the booth space let alone a hotel, food, pay for athletes or people to sample out the products, travel expenses such as a flight, and don’t forget about the shipping costs involved with getting the products to the venue and getting the backdrops/actual booth sent out. At the end of the day, you’re looking at $100k+ in expenses. Many people might balk at the price and think brands can afford it. And many of them can. But, you have to remember, there is no direct ROI on being present at the expo if you aren’t trying to sell product on-site. Many people who have booths don’t sell product, they only sample. This is mainly because of the amount of people at the expo, and the amount of people at the booth where money is being transferred back and forth. Things can get a little interesting if at the end of the day your cash box doesn’t clear and you’re missing money. Then you have the uncomfortable and tiring situation of trying to figure out if the hired help at the booth has sticky fingers, if they were too dumb and couldn’t count the correct amount of change, or if someone came behind the booth and grabbed some money when no one was looking. Too many things could go wrong with trying to sell product at an expo, but I respect the choice for those who do. Personally, I’ve worked booths when I was at MET-Rx and it’s utter chaos inside the booth and there is no way I’d want money being transferred from hand to hand or moved around. Nope. My head hurts just typing this. To go back to the point I made earlier about the sheer amount of free samples given out, think about society today. Everyone wants a handout. How many of the people taking samples will eventually be customers and buy a product they grabbed a sample of? A very small percentage, that’s who. Brands are literally lighting money on fire and watching it burn. You know who remembers the brands that don’t give out samples? Me neither. No one does. Because they are too focused on the loot they grabbed. No one would be saying, “man, I can’t believe ‘X’ company didn’t give out any samples, what a bunch of losers.” Doesn’t happen. You know what giving out a ton of samples at an expo gives you? Overcrowded booth space and a bunch of moochers. There are people who literally go back two, three, ten times getting the same free samples. Look, I like free as much as the next guy, but I’m also respectful to those who give me a freebie to try. Remember, the brand owes you NOTHING. So, be respectful and quit mooching off of everyone. You look like a little panhandler out on the corner begging for money with your expo plastic bag open. If you’re that strapped you shouldn’t be buying supplements in the first place. Here’s the part that infuriates me. 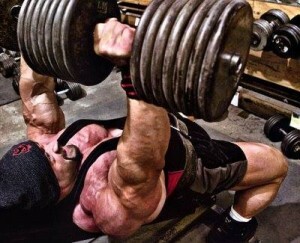 A couple days to a week after the Arnold or Olympia, go check out eBay and Craigslist. Everyone and their brother is selling the samples they got at the expo. I can’t knock a hustler for making money selling anything and everything, but it’s pretty bad when someone gives you something for free to try and you turn around and sell it for profit. That’s like giving the brands the middle finger to their face. It’s disrespectful and it’s what causes many brands to reconsider even giving out samples moving forward. They aren’t in business to simply give out product for free so you can make money. They are in business to sell products to consumers for a profit and to help them achieve whatever goals they are striving for—lose fat, build muscle, whatever. Funny story (kind of a sidebar here). When I was at MET-Rx, I had a kid, his name was Bob from Erie, Pennsylvania, ask if I would send him a free product to use and he would put up a review in return for my generosity. I begrudgingly agreed and sent it out to him. What did he do in turn? Put it up on the internet trying to sell it days after receiving it. Someone saw it and brought it to my attention, which I sincerely appreciated and called him out on. I then come to find out that he’s been doing this with other supplement companies as well and was even caught up in some fraudulent activities that got him in quite some trouble. Needless to say, this kid was a low life POS and yet another reason why I hate giving out samples of anything. I’m not in the business of being taken advantage of. 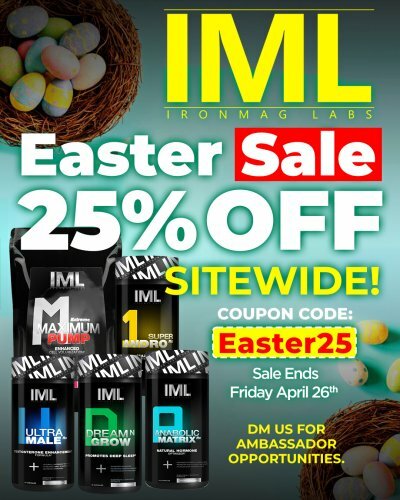 Ask any brand how their sales are following the Olympia or Arnold and they will say they see a dip. Why? Everyone who doesn’t actually sell the product, uses them. So, now you have guys with hundreds of pre-workout samples that they can use rather than going out and buying a tub from someone. And while some will say that it’s good that someone can try a sample so they know if they like it, the rebuttal is that when they open the packet and dispense it into their shaker cup, they toss the packaging. Regardless of if they liked it or not, after going through multiple brands of pre-workouts, they’ll never remember which was the one they actually liked. So, all those samples went to waste. Vegas and Columbus especially get dinged after the expos. Everyone locally obviously goes to the convention center for free samples. They even bring family members with them who don’t even use samples just so they can snag theirs too. Can you tell I’m a little jaded by what goes on at these expos when it comes to samples? Many brands decide they aren’t going to give out samples as take-homes because they know the chances of it either being wasted or sold are extremely high. So, many brands will cut up samples or pour out little cups worth of product so consumers can walk by and try a sample of whatever they are promoting at the show. That seems great, except for the fact that EVERYONE is also letting people try product and at the end of the day, no one is going to remember your sample because they all run together. There honestly isn’t a good way to get your product out in front of people at expos and I think they are the biggest waste of money that any manufacturer can invest in. No one is going to stick around long enough to learn about a product being sampled, or see what’s in it, what other flavors are available, where it can be purchased, etc. They want to go, get their samples or try it while standing in line, and then move onto the next booth to add to their collection. Sales. Promotions. Deals. Plain and simple. Do Olympia and Arnold specials the entire week of the show. Brands won’t have to spend a time on a worthless booth, blow through samples like a colon cleanser, and can still get product out in the consumers hands (at a discounted price). Heck, I don’t even care if a brand is making $5 per tub. The return is going to be greater SELLING anything than it is GIVING things away. Work with your retailers, work with your distributors. Put something together so everyone is making money and the end consumer is getting one heck of a deal that they can’t pass up. If you’re an online-only brand, push the heck out of your website deals via your social media, even spend some money on Facebook ads if need be. But, giving away free product or even being present at an expo is not doing your business any good. Period.